Mahendra Singh Dhoni, from time to time, sends across messages to national selectors, his own teammates and to fans through a prying media. For good measure, like all sportspersons, he says he plays for the enjoyment of the game and the day he decides to go, “I will pack my bags and happily go away”. After Mustafizur Rahman damaged Dhoni’s and India team’s reputation with back-to-back fifers, the question of his retirement cropped up again and this time he turned melodramatic, stating that by removing him the team was expected to do well and if he was the reason for the down slide of Indian cricket he would step down. Then came the ODI series in Australia and India lost 1-4 despite scoring 300-plus scores in four of the five matches and 295 in the other, but the T20 sweep gave him a new life and the team suddenly looked world-beaters. Their potential to win the T20 World Cup can be seen from the way Dhoni moulded a team with some outstanding fielders. So, the upcoming World T20 is more important to him than, perhaps, the team. 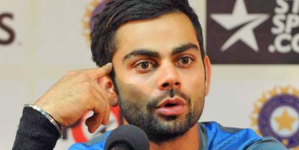 If India win, he might say he would like to take one match at a time, one series after another for the next three years! Dhoni is not one to miss out on a trick. He quickly decided to quit Test cricket midway through a series in Australia, as he had hinted a year ago about giving up one of the three punishing formats. After seeing Virat Kohli’s imaginative and aggressive captaincy in Tests down under, people did not see beyond the World Cup. The World Cup revived Dhoni’s fortunes. His team remained unbeaten till they lost to Australia in the semi-finals. 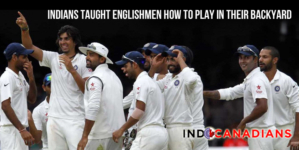 They bowled out all their seven opponents till their exit game to set a record. 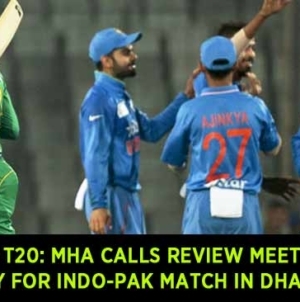 There was another hiccup when India lost the ODI series in Bangladesh for the first time last year and soon after South Africa got the better of Dhoni’s side here at home. There was another round of Dhoni bashing. The selectors, however, backed him and made sure there were no other media plants about him being replaced by announcing that he would remain captain till the T20 World Cup. He has a knack of speaking his mind out and his messages are taken seriously, too, by one and all. 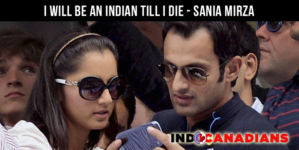 He is accused of getting rid of seniors, barring Sachin Tendulkar, from the team — first as One-Day captain and then from the Test squad. Sourav Ganguly and V.V.S. Laxman felt aggrieved at the way the message was sent across. The much-maligned Greg Chappell noticed a spark in Dhoni and marked him down as a future captain one year before he actually took over as captain of the shorter formats and he went on to win the inaugural T20. Five months after winning the T20 championship in South Africa, Dhoni’s next move was to weed out seniors from the ODI side, though a couple of them returned to the side briefly before bowing out. After winning his first major title he said he would prefer daring players willing to stand in front of a moving truck. After winning the Commonwealth Bank ODI series, his tone was a little more assertive. He said he was pretty clear about the players he wanted in the squad, a statement even Ganguly did not make publicly. He was roundly criticised as selectoral deliberations were leaked, making him out a villain. He told the youngsters he had fought for then that they must perform to vindicate his belief in them. After winning the series, he rubbed it in, asking the media why the team selection was no longer an issue, wondering what would have happened if they had not won! If Dhoni thought Sachin Tendulkar, Rahul Dravid and Sourav Ganguly would be liabilities in the Twenty20 field, he now finds age is only a number when it came to Ashish Nehra, 36, Harbhajan Singh, 35, and Yuvraj Singh, who at 34 is as old as Dhoni himself, as key figures in his scheme of things for the World T20 in India next month. For pundits, at one point of time Dhoni was a cool, thinking captain and after defeats in a couple of series overseas he was a mere mannequin in an unmarketable garment superstore. Dhoni is not the first captain to be sacked by media or former players and will not be the last. The board and the selectors backed captains for strange reasons, but now on the selection committee will be the sole authority as the president may not have the power to overrule it.